In Pisa during the fourteenth century, gold rules over all. The great families of the city are the route to success, wealth, and power. Merchant houses compete to make deals with the great families and earn the greatest profits. Meanwhile, master builders erect splendid palaces, marvellous tower houses, beautiful plazas, and fabulous shops, hoping to impress the great families and earn prestige. 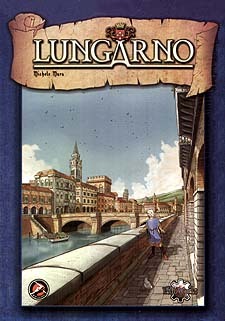 The centre of this quest for wealth and prestige is the Lungarno district, along the banks of the River Arno. Can you overcome your rivals to dominate the Lungarno and become the richest merchant in Pisa?